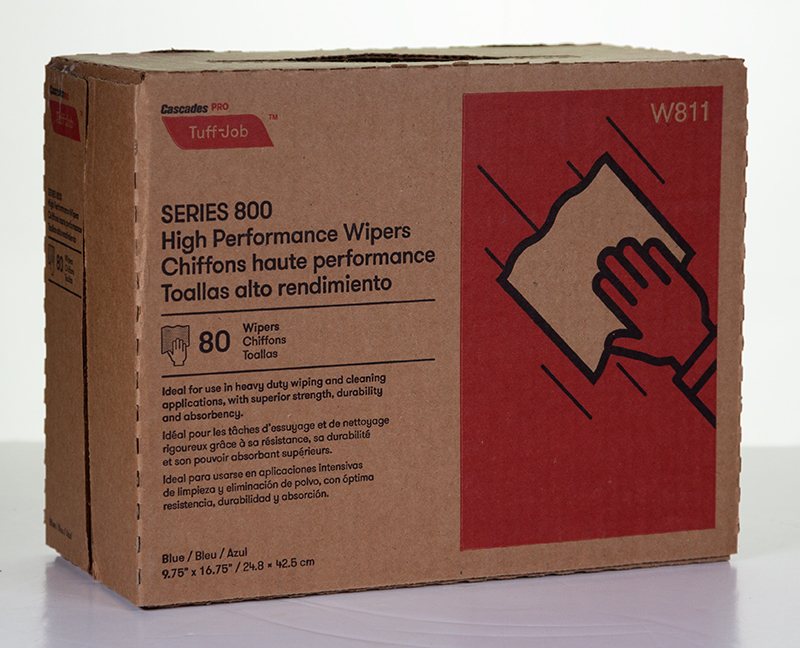 A combination of extreme performance and durability makes Cascades PRO Tuff-Job™ Series 800 high performance blue wipers an optimal product for the manufacturing, industrial, automotive, and transportation markets. These nonwoven spunlace Series 800 wipers, in blue, perform in both wet and dry situations. Packaged in a convenient portable dispensing box with easy one sheet distribution makes these wipers available for on-the-go use and eliminates over use and waste. These interfold wipers are ideal for industrial machinery cleaning, applying and removing solvents/chemicals, wiping down offset printing plates or presses, and polishing or bondo removal. Packaged in a convenient pop-up box allows for easy access to wipers.